JAMES, SON OF ALPHAEUS: LESS SAID THE BETTER? HOW CAN THREE PERSONS BE GOD WHEN THERE IS ONLY ONE GOD? PROBLEM: Matthew speaks of the “Father, Son, and Holy Spirit” all being part of one “name.” But these are three distinct persons. How can there be three persons in the Godhead when there is only “one God” (Deut 6:4; 1 Cor 8:6)? 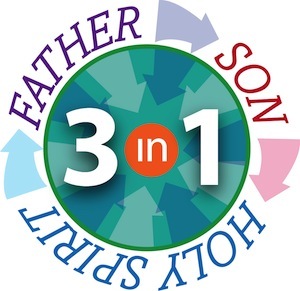 The number three and groups of three occur frequently in Scripture. As the second prime number, three maintains the indivisibility of the number one and introduces a concept of a more-than-one number that is not easily divisible. In the area of relationships, three expands the possibilities greatly. Between A and B is one relationship. Between A, B, and C there are at least seven relationships (AB, AC,BC; A-BC,B-AC,C-AB,ABC).